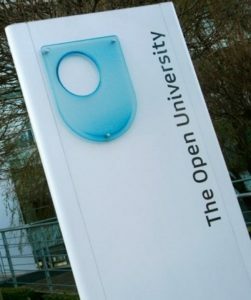 Contact the Open University on their general enquiries phone number 0300 303 5303 to confirm their tuition fees, for admissions deadlines and to apply for a master’s degree. Phone the Open University on their contact number 0300 303 5303 for all general enquiries about their range of undergraduate degrees including course requirements, admission deadlines and tuition fees. If you wish to contact a specific member of academic staff such as your tutor you should dial this number to be put through to them. Moreover if you wish to defer your studies due to adverse circumstances such as illness you can call this helpline to suspend your tuition. Similarly if you would like technical support when performing an online test or whilst submitting coursework such as your dissertation you may call their advisory staff for assistance. Calls to the Open University are charged at the same rate as phoning local telephone numbers which start with 01 and 02 area codes, as well as all other national 03 helplines. This means you will usually be charged an access fee which is followed by a per-minute rate as determined by your landline or mobile provider. However if you get inclusive minutes as part of your tariff deal you can use these to contact the Open University for free, although these minutes will be removed from your balance accordingly. Lines are open 8am-8pm Monday-Friday and 9am-5pm Saturday, however please be aware that they will be closed during bank holidays. 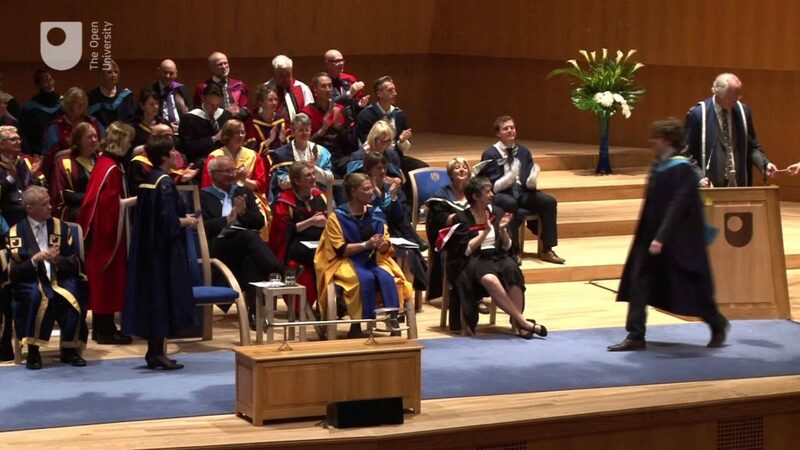 Contact the Northern Ireland branch of the Open University on their dedicated phone number 0289 032 3722 to confirm you wish to have a graduation ceremony in Belfast as opposed to the rest of the United Kingdom. Here you can also enquire about the specialist undergraduate and postgraduate courses available to students in the area. Calls are charged at the same rate as the helpline for the rest of the United Kingdom, which is provided above. Cysylltwch â’r Brifysgol Agored ar eu rhif ffôn Cymraeg 0292 047 1170 am gymorth gyda’ch cais, i gadarnhau eu ffioedd dysgu ar gyfer y tymor sydd i ddod a gofyn am ohirio dyddiad cau academaidd. Contact the Open University on their Welsh-language phone number 0292 047 1170 for support with your application, to confirm their tuition fees for the upcoming term and to request a postponement of an academic deadline. Phone the Open University (OU) from outside the UK by calling their international contact number +441908 655 767 for overseas support with your degree course. Here you can check the tuition fee requirements for students in your country, whether there are any location-based grants which you can apply for and for assistance with the English courses which are pre-requisite to taking an OU course. However please be aware that calling this helpline from an international location will usually cost significantly more than the equivalent UK-only call and that the exact charges will depend on which country you are situated in. Call the Open University on their telephone contact number 0300 303 2477 for all enquiries about their range of postgraduate courses, which include master’s and doctorate degrees. Be aware that OU fees for postgraduate courses are likely to differ from undergraduate tariffs so please call this helpline prior to applying to confirm how much you will have to pay. Contact the research team at the Open University on their dedicated phone number 01908 654 882 to apply for a grant, to submit your paper for peer-review and to apply for a work experience position in their laboratories. You can also dial this number to purchase a publication released directly by the university and to query their findings if you got different results during testing. Phone the Open University on their contact number 0300 303 0122 for employer enquiries including their price list for staff training. Education providers can also call this helpline to request materials to give to their classes, as well as browsing their range of apprenticeship solutions. Due to your working schedule it may be difficult to contact the Open University outside of their standard working hours, therefore they offer a range of alternative methods which you can use to get in touch with their student services division. These include email forms, postal addresses and public social media profiles. Students and academics can send their general enquiries to the Open University (OU) via post by sending letters to their head office address which is provided below for your convenience. Please note that it may take them up to a week to respond to postal enquiries, so if you have urgent queries about your course you should instead refer to the phone numbers provided above. The Open University, PO Box 197, Milton Keynes, MK7 6BJ, United Kingdom. The Open University in Ireland, 110 Victoria Street, Belfast, BT1 3GN, United Kingdom. The Open University, 10 Drumsheugh Gardens, Edinburgh, EH3 7QJ, United Kingdom. The Open University in Wales, 18 Custom House Street, Cardiff, CF10 1AP, United Kingdom. You may email the Open University by visiting the contact help-page which is available via their UK website. Here you can also start a live web chat with their advisors or request a call-back at a time which is convenient for you. The Open University regularly posts free educational material to their various social media profiles. Here you can also send general enquiries about their courses and entry requirements.